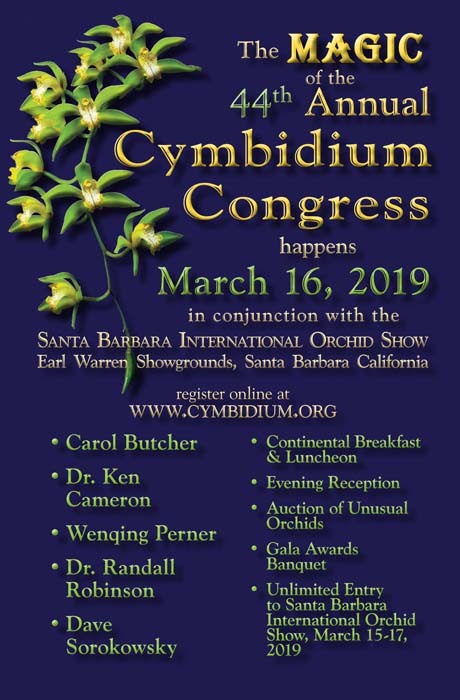 The following excerpts were taken from American Orchid Society, Inc. Handbook on Judging and Exhibition. The words and phrases below are basic to the rules and regulations of Schedules and Point Scales. Their definitions are carefully thought out and are sometimes arbitrary designations of meanings that are to be interpreted in strict literal terms in judging and exhibiting. Amateur – a person who grows his own plants primarily for his pleasure and does not derive his livelihood there from. Award Judging – the non-competitive judging of plants and/or flowers for inherent quality according to established procedures. Blemish – a bruise, spray discoloration, any injury by insects or disease, or any malformation detracting from the appearance of an exhibit. Bloom – an individual flower. Charm – an inner quality that gives and exhibit an intangible emotional appeal. Clonal Cultivar – a named individual that is always vegitatively propagated from a clone. Clone – a plant grown from a single seed, and all subsequent vegetative divisions of it. Color – (in Point Scales) the hue, clarity, intensity, etc. of coloring in relation to the usual forms; an orderly arrangement of color areas; also novelty of coloring, if handsome and desirable. Commercial Grower – one who grows plants and/or flowers for sale, with or without employed help, and derives his livelihood therefrom. Cross – the hybridizing of two different orchid plants. Cultural Perfection – the development of plants or flowers to the peak of their potentiality. Distinction – (in Point Scales) a quality of excellence that places the exhibit above the usual or commonplace. Grex – all offspring from a defined hybrid cross. The grex name is always capitalized and written in roman characters even though the generic name is always in italics. Horticultural Variety – any of cultivated population within a species or interspecific hybrid group having characters by which it merits distinction from others of the same kind. Hybrid – the offspring of a cross between two different species, a species and a hybrid or two hybrids. Panicle – a compound racemose inflorescence, such as an Oncidium varicosum. Private Grower – one who employs others to grow or assist in growing his plants, but does not derive his livelihood therefrom. 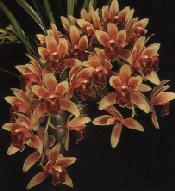 Raceme – and unbranched inflorescence in which the rachis bears flowers on short pedicels in successionf toward the apex such as in Cymbidium, Cattleys, Odontoglossum, etc. Rachis – the elongated axis or stem of an inflorescence. Scape – a flower stalk that arises from below, such as in Lycaste. Seedling – unless otherwise specified in the Schedule, seedling means a plant grown from seed and flowering for the first time. Show Judging – the judging of plants and/or flowers in competition, either individually or in groups, by the Rules of the show. Spray – an arching multi-flowered inflorescence that may or may not branch, such as Miltonia, Odontoglossum, Phalaenopsis, etc. Substance – thickness of tissue in flowers. Texture – the desirable features of flower surface that enhance appearance. Umbel – a contracted receme in which the flowers apparently cluster from a single point, as in Cirrhopetalum.